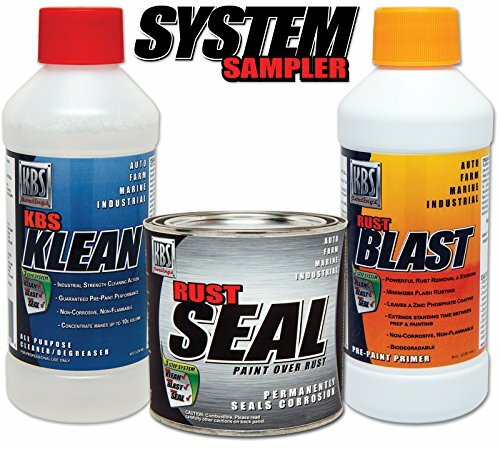 KBS Coatings 50002 Satin Black System Sampler by KBS Coatings at Beaver County Collision. MPN: 50002. Hurry! Limited time offer. Offer valid only while supplies last. Everything you need to get started & try out our complete KBS system! A full 1/2 pint of RustSeal will cover an approx. 12 sq. ft. area with 2 coats. View More In High Temperature Paint. Everything you need to get started & try out our complete KBS system! A full 1/2 pint of RustSeal will cover an approx. 12 sq. ft. area with 2 coats. Experience the quality & durability for yourself. A KBS best buy! Our complete system in one package.